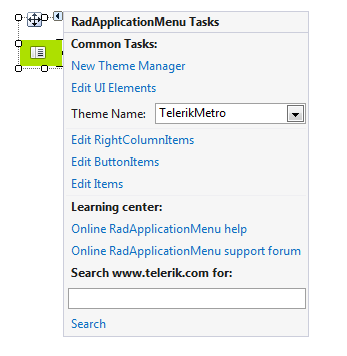 This article demonstrates how to populate RadApplicationMenu with data either at design time or at run time. You can add items at design time by using the RadItem Collection Editor. 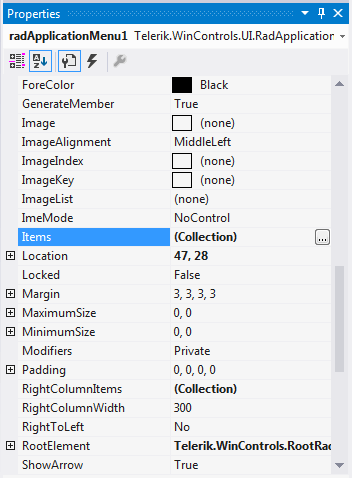 By using the Edit RightColumnItems and Edit ButtonItems options you can add items to the menu's right column and bottom buttons container respectively. 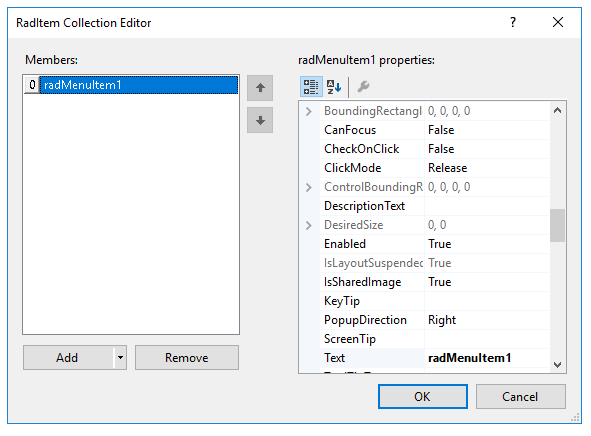 RadApplicationMenu supports adding items at run time, which means that you can manually populate it with items. The following example demonstrates how to add items to the left and right drop down menu's columns and to the bottom buttons container.